Barely two months into the market, the Samsung Galaxy Watch has already seen it’s priced reduced by nearly 10-percent. 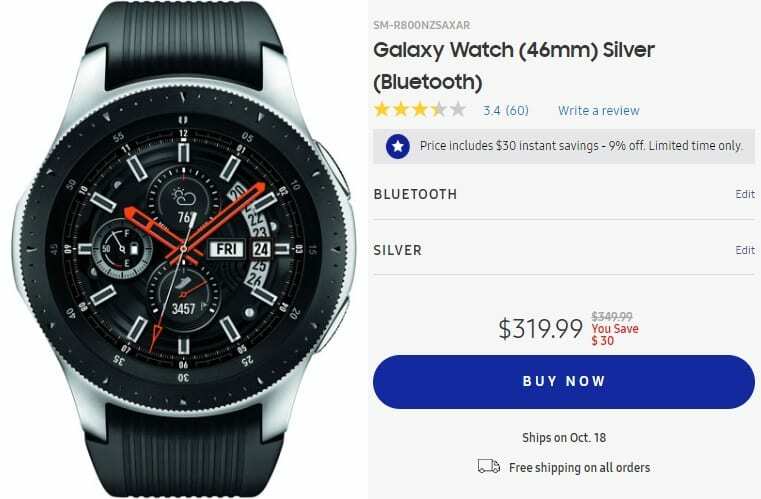 The latest Samsung smartwatch is currently down by $30 at Samsung Online Store, Amazon and Best Buy (links below). The 42mm model is selling for $300, while the bigger 46mm model is currently priced at $320. The deal price, however, is for a limited time, although Samsung hasn’t specified when the offer will end. Also, the offer is for customers in the US only. Launched alongside the Galaxy Note 9 on August 9, the Samsung Galaxy is the best Samsung smartwatch yet (why we think so?). It comes in two different sizes, 42mm and 46mm, and is powered by the Exynos 9110 1.15GHz Dual-core processor. The Tizen-running watch features 768MB of RAM and 4GB of internal storage space. 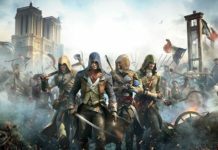 It is compatible with both Android (5.0 or later) and iOS (9.0 or later) smartphones. The Galaxy Watch has a circular Super AMOLED display with 360×360 resolution, protected by Corning Gorilla Glass DX. The MIL-STD-810G (Military Standard) rated watch has a 5 ATM water resistance rating and features a rotating circular bezel and an Always On Display. Samsung claims the watch to be capable to run multiple days on a single charge. However, the exact usage time will vary according to the use pattern. The watch packs all the basic sensors and comes with capabilities to track as many as 39 different physical activities. The watch is also capable of automatically detecting high levels of stress, and providing necessary suggestions such as breathing exercises. You can read more about the Samsung Galaxy Watch here. Originally priced at $330 (42mm) and $350 (46mm), the watches are now selling for $300 and $320 respectively. Note that the deal is available only on the Bluetooth+Wi-Fi version of the watch, and not the T-Mobile LTE version. 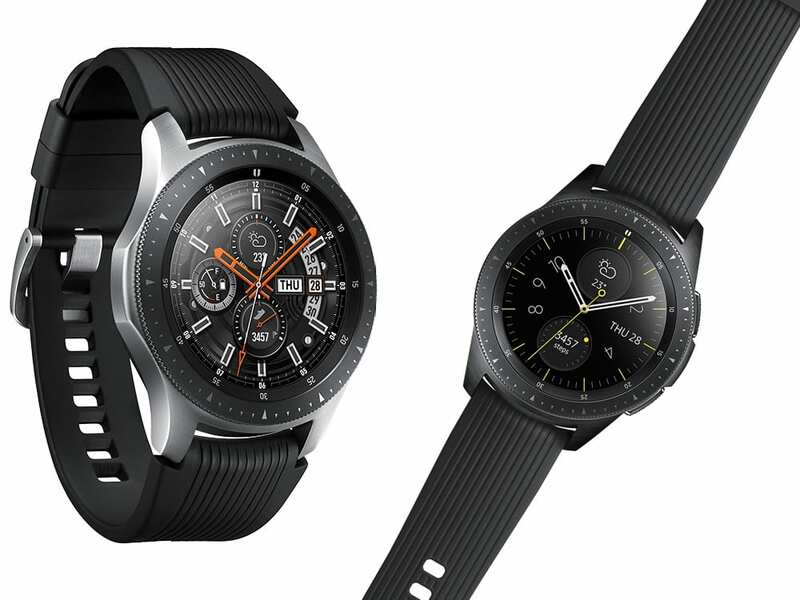 The LTE-enabled Samsung Galaxy Watch currently costs $380 or $400 depending on the size.